Part science and part art, the process of creating high-performance algorithmic multi-effects processing requires both of these technical and creative disciplines operating harmoniously in counterpoint. For more than 40 years, Anthony Agnello has, in his words, “stumbled through this delicate dance” with his work and craftsmanship at his pioneering firm, Eventide Audio. Following his design of the H910 and H949 Harmonizers in the mid-’70s, Anthony set out to make groundbreaking space design effects commercially available for the first time. Developed between 1978–1981, the Eventide Signal Processor Model SP 2016 was pro audio’s first programmable effects box—and it introduced the concept of the plugin to the music production and audio engineering communities, with its interchangeable ROM plugin chips. “I started researching reverb in earnest in 1978. Once I realized the kind of processing power and architecture needed to code a convincing simulation of a room, I made the decision to build an array processor that could be programmed to do other effects that I was interested in as well,” Agnello says. 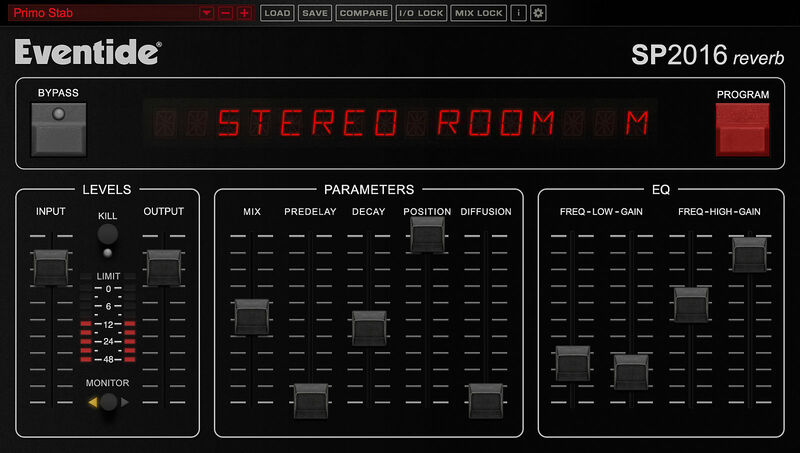 In 2012, Eventide released the 2016 Stereo Room VST/AU plugin—a popular digital version of the original hardware’s stereo room reverb setting. But until today, with the release of the SP2016 Reverb plugin, all of the reverb algorithms of Agnello’s hardware processor have never been included in a digital format. To celebrate the release, we’re looking back at the history of the effects processor and taking a look at all of what’s possible with this new plugin. The scope of the processing capabilities the SP2016 was constantly expandable—thanks to its pioneering use of ROM chips that provided new effect algorithms. When loaded up, different chips would allow for different functions. 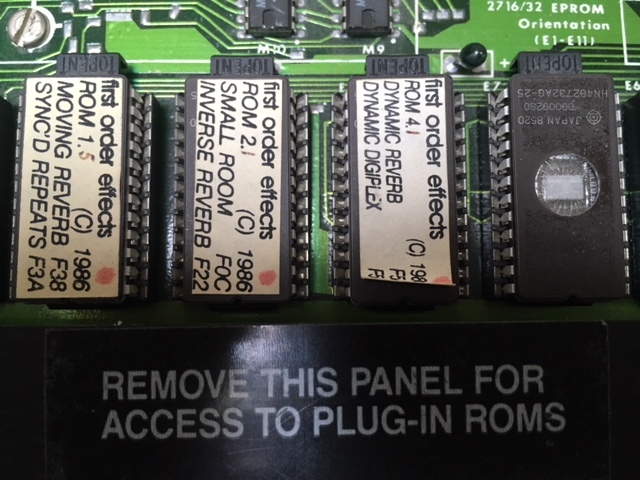 The machine’s main buttons, like Execute, Command, and Softkey, would control a certain aspect of one effect’s preset, but entirely differently parameters for another, depending on which ROM chip was employed. “People had trouble understanding what it was and what it could do. Digital reverbs like the EMT, Lexicon, and Sony, were very popular products, and we confused a lot of people who just wanted a great reverb. We would have been better off if we had limited the box to just reverb,” Agnello says. “The SP2016 had, I’d argue, more convincing reverbs and a wider range of reverbs than most any other product available, but the box confused the hell out of people. For instance, it had a button labeled Softkey and, at trade shows, people would ask me what it did and I’d say, ‘It depends on the algorithm,’ and they’d glaze over,” Agnello says. “By the mid-’80s, chip vendors like TI introduced DSP chips, capable of processing full bandwidth audio, rendering the array processor technology at the heart of the SP2016 obsolete,” Agnello says.